Windows Server 2016 support for installing Veeam Backup & Replication™ components as well as support as a guest OS of protected VMs, including network-free communication with a guest via PowerShell Direct. Microsoft Hyper-V 2016 support, including integration with Resilient Change Tracking (RCT) for backups and restores, as well as support for Hyper-V hosts installed on Nano Server and Storage Spaces Direct. 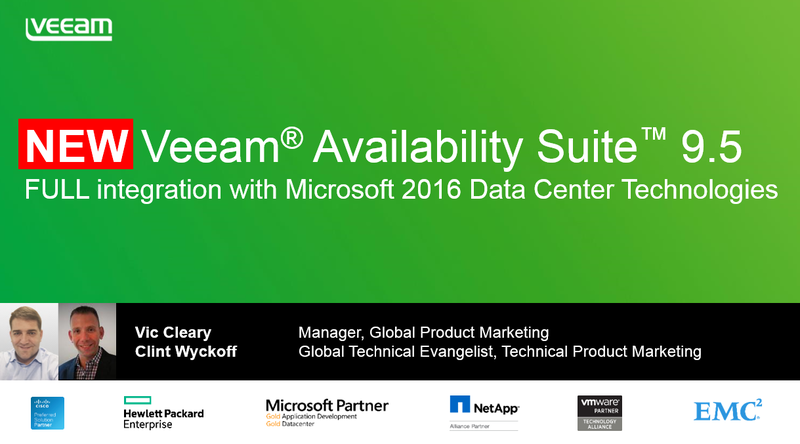 Support for 2016 versions of Microsoft enterprise applications for application-aware processing and application item-level recoveries through Veeam Explorers™ for fast RTOs of less than 15 minutes.